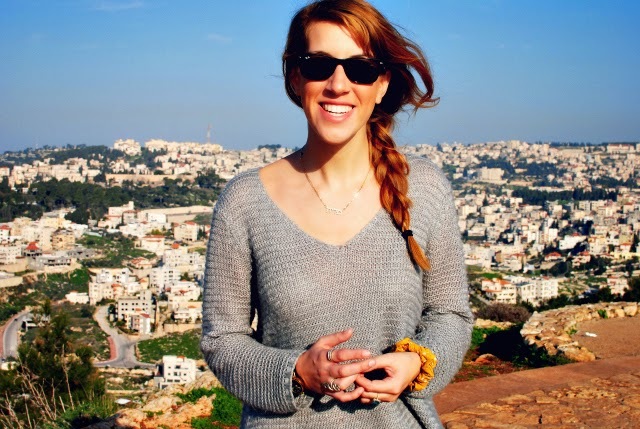 After two days in Tel aviv, Maggie and I hopped on the bus and headed north to Nazareth. Nazareth is a town located in the northern galilee region of Israel and is unique to some of the other cities we chose to visit due to its large Arab Muslim and Christian populations. How to get to Nazareth? From the Hayarkon 48 hostel in Tel Aviv, I grabbed a taxi to the bus station in south Tel Aviv. This can also be done easily by public bus, but due to my luggage and the time at night I went for a taxi. South Tel Aviv is an underserved area of the city so it is noticeably rougher. Police were milling around, however, and I felt perfectly safe. 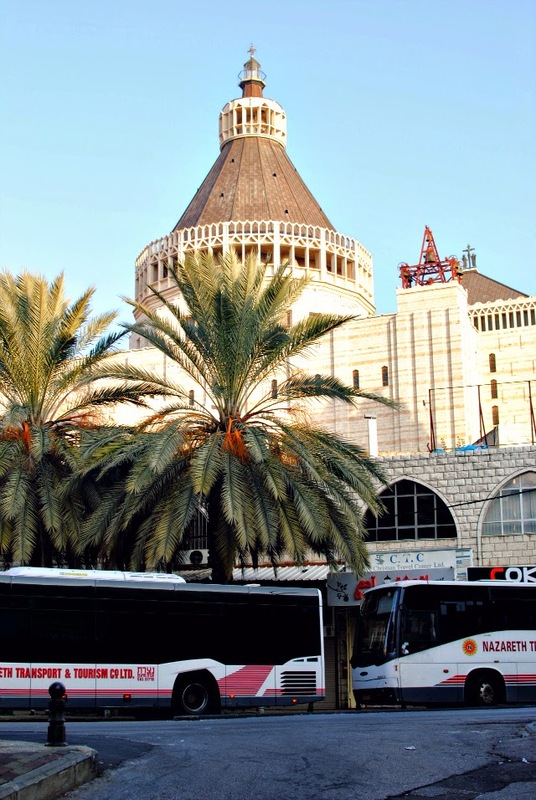 Find the 6th floor of the bus station and locate the information counter where you can state your destination and receive a bus and terminal number in exchange (you will take the 826 bus to Nazareth). Have 40 shekels ready so you can pay the driver as you enter the bus. Maggie and I were tired and consequentially slept right through our stop in the Old City of Nazareth. When we woke up and found ourselves to be the last ones on the bus, I ran to the front to ask the driver, “Nazareth?” Luckily he spoke English, explained we missed our stop (only by 10 minutes fortunately) and drove us to a bus stop near a taxi stand. With a taxi driver we easily found our way to the Fauzi Azar Inn but the Old City bus stop is very close as well. 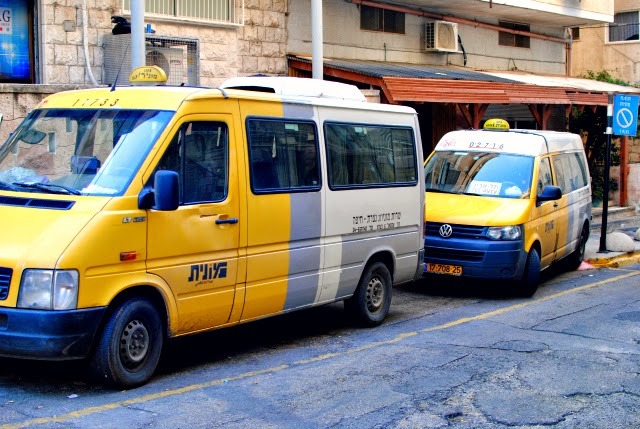 It is also easy to catch a sherut (the yellow and white minibuses pictured above) to Nazareth. We used one to return to Tel Aviv and it cost a few shekels less than the Egged bus. It was also faster since it made fewer stops along the way. The sheruts pick up passengers across the street from the larger bus station. Both “stations” are labeled on the maps provided for the old city. Together Traveler Tip: download a map of the old city before you arrive. This city is truly old and does not have modern streets or signage. You will need the map to navigate the old alleyways. Israel is a small country and with a tour like this one you can experience a varying array of cities and sites in a single day. 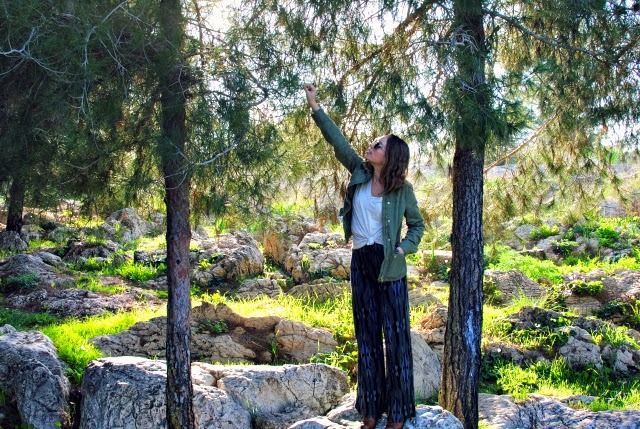 From the gorgeous Baha’i gardens in Haifa to the chalk cliffs and grottos in Rosh Hanikra, we didn’t see anything close to the same thing twice. No same same, but different here. You can book the tour here. Who doesn’t like a good viewpoint? From Mount Precipice you can view the Old City, Nazareth Illit (which contains majority of the Jewish population in the area) and the fields and olive groves for miles. On the way to our tour of Haifa, we stopped at a nearby olive grove. 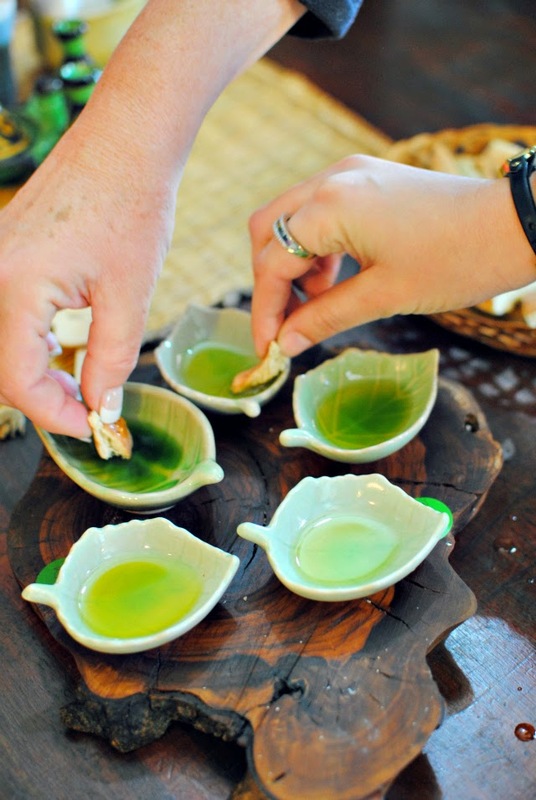 I really enjoyed meeting the family who settled on the olive grove as much as I enjoyed learning about olive oil production and tasting the various oils. Albeit easy to get lost, or maybe because it’s so easy to get lost, the old alleyways of Nazareth are worth at least an early morning or lazy afternoon walk. Rather than a tour to see the sites (which the inn staff rightfully point out you can do on your own) the Fauzi Azar staff offer a free walking tour that highlights the cultural aspects of a diverse community, including visits with locals to learn their customs. You can reserve this free tour by speaking with reception at check-in. I love a good recommendation. Not only did we find this restaurant with good rating on TripAdvisor, we also had it recommended by the staff at the Fauzi Azar Inn. Go here when you need a break from the usual pita, hummus and falafel. 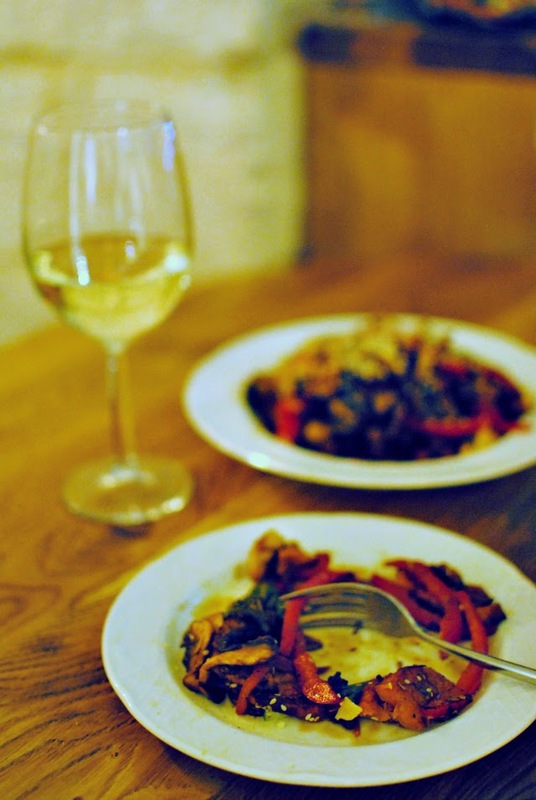 We really loved the Rosemary’s stir fry, Caesar salad and house white blend. The staff are extremely friendly and the atmosphere is great. This little restaurant looks adorable and was highly recommended by the staff at our inn. If we had more time we would have stopped in for lunch. You can read reviews on TripAdvisors here. This is probably the most popular and well-known restaurant in the Old City of Nazareth. Our inn advised that we eat here if we wanted good local cuisine. Unfortunately we were sick of hummus at this point but it looked great when we walked by to check it out. 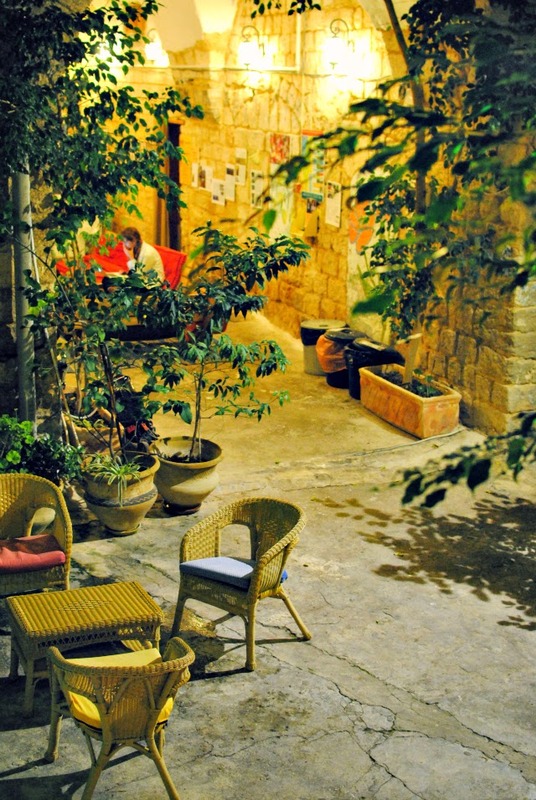 This family run inn is tucked into one of the alleyways of the Old City not far from Mary’s Well. The staff are friendly and very helpful. In addition to a number of tour recommendations for exploring the local region, they also offer a free tour of the Old City to acquaint guests with local customs and living. I really enjoyed the historic feel of this inn and we easily made friends by participating in tours. Did I miss one of your favorites in Nazareth? Let me know in the comments below!